Walter Onnoghen, chief justice of Nigeria (CJN), may have more trouble coming his way as detectives have allegedly traced suspicious transactions to his accounts. According to The Nation, the transactions include a $800,000 Standard Chartered Bank investment subscription, $630,000 lodged in some of the accounts through what is described as “structured payments” in tranches of $10,000 each. 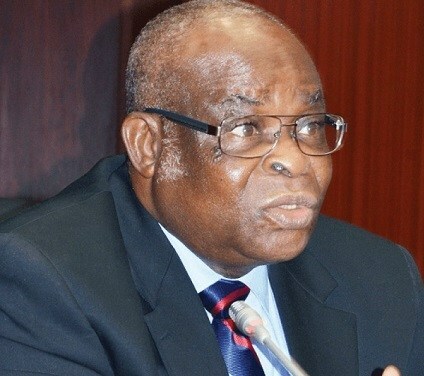 Most of the lodgments, effected between 2012 and 2016, were said to have been undeclared in Onnoghen’s assets declaration form. Already, the Nigerian Financial Intelligence Unit (NFIU) has restricted the operation of five accounts with about $3 million. An intelligence report seen by the newspaper reads: “Pattern of structured payments of $10,000.00 each in 2012. For example, a total of $630,000.00 was credited to the accounts using this pattern. “Similarly structured payments of $10,000.00 amounting to $297,800.00, $50,000.00 and $36,000.00 were deposited in the account in 2013, 2015 and 2016 respectively. “There was also a credit of $121,116.00 into the account from 2014 to 2016 from Life Friend Plc. The payments were in four installments, of $30,279.00 each. These payments suggest the suspect has investments. “A payment at $482,966.00 from Alicia Redemption Pro and shortly after, $800,000.00 was invested in SCB Investment subscription. We are in the process of verifying these transactions. The investigative team also reportedly discovered a self-transfer of £40,268.40 into his pounds sterling account on May 31, 2016.